Preparation time: 5 minutes. Baking time: 25–35 minutes. Set oven rack in middle position and preheat oven to 425°F. Cut each onion into 4 pieces and place in a baking dish coated with cooking spray. Drizzle evenly with olive oil and toss to coat. Sprinkle evenly with salt and pepper. 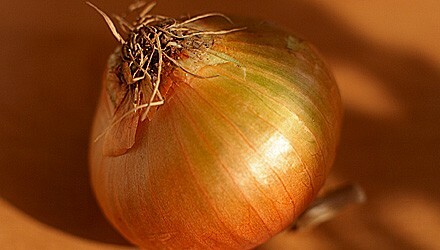 Bake until cut surfaces are golden brown and onions are tender when pierced with a fork, approximately 25–35 minutes. Drizzle with balsamic vinegar. Exchanges per serving: 3 nonstarchy vegetable, 1/2 fat. Carbohydrate choices: 1.